Within a few days of writing this we will be marking the 200th anniversary of the Battle of Waterloo. It was a terrible battle with heavy casualties on both sides but at the end of a very long day Napoleon’s army was defeated for the last time and Arthur Wellesley, the Duke of Weillington, emerged as the hero of the hour. Let’s not underestimate the importance of this event for European history but also in 1815 an inspired and unlettered genius was working in the north east of England to resolve engineering problems which had much more significance for those of us interested in the history of Wolverton. It was in this year 200 years ago that a self taught mechanical engineer was able to forge the available technology of the day to create a steam engine that could move a locomotive frward. This man was George Stephenson. In 1814 he had managed to forge the available technology of the day to create a steam engine that could move forward on rails. The steam locomotive was born. In 1815 he was improving the design and experimenting with iron rails that would not break under the weight. He also presented his design for the miner’s after lamp. One month later, a Cornishman called Sir Humphrey Davy presented a similar design and because he was an educated man from the landed classes he was credited with the invention. Most people in London found it difficult to believe that an unlettered northerner would have the wit to design such a device. Nevertheless Stephenson’s lamp went into manufacture and was known as the geordie lamp. It is said that the term “Geordie”. now applied to anyone from those arts, originated from the fame of George Stephenson. 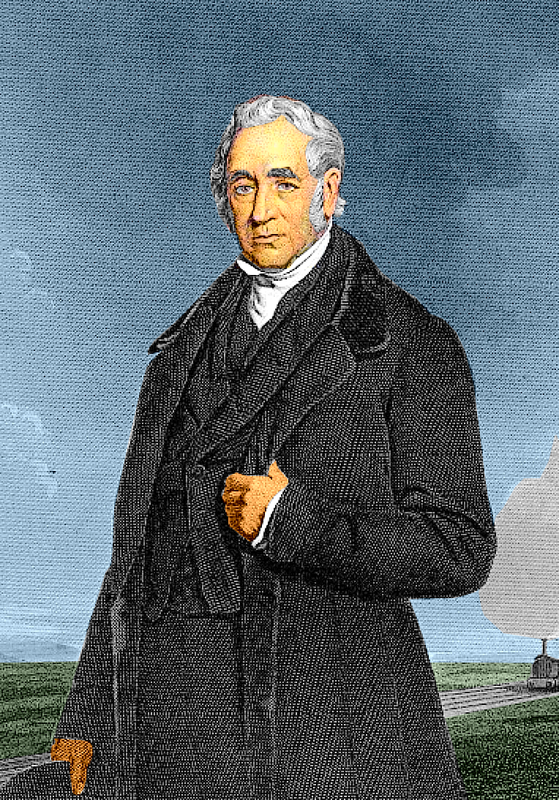 He is of course best remembered for his pioneering work with the railways and by the time his son Robert (who was born in 1803) was of an age to go to school George Stephenson was prosperous enough to to send him to private school. Thus Robert grew up without a Geordie accent and was able to speak the language of the financiers and politicians of the day and it was he who engineered the London and Birmingham Railway and determined the route which brought a railway lone to Wolverton in 1838. It must have been an odd experience for the suave, well-educated scion of a wealthy banking family, George Carr Glyn (later Baron Wolverton) to have encountered a seemingly rough character such as George Stephenson, and he was probably difficult to understand. yet Glyn was able to reflect on this in a speech given in 1849 at Wolverton (a year after Stephenson’s death) where he was able to reflect on the value of education.